The crochet magic ring is one of those crochet techniques that is really handy to have in your crochet toolbox. Using the magic ring results in a cleaner looking circle with little or no “hole” in the middle. It is especially desirable for projects such as amigurumi (crochet stuffed animals), gloves/mittens and even hats. I can remember avoiding the crochet magic ring like the plague as a beginner. Let’s face it, there are many video tutorials demonstrating the magic ring but very few (if any) are actually helpful. Once I finally mastered the magic ring, I was hooked and now I never start a project in the round without using it. Since the crochet magic ring is such an important technique, I just had to create a video demonstrating it with the single crochet, half double crochet and double crochet. 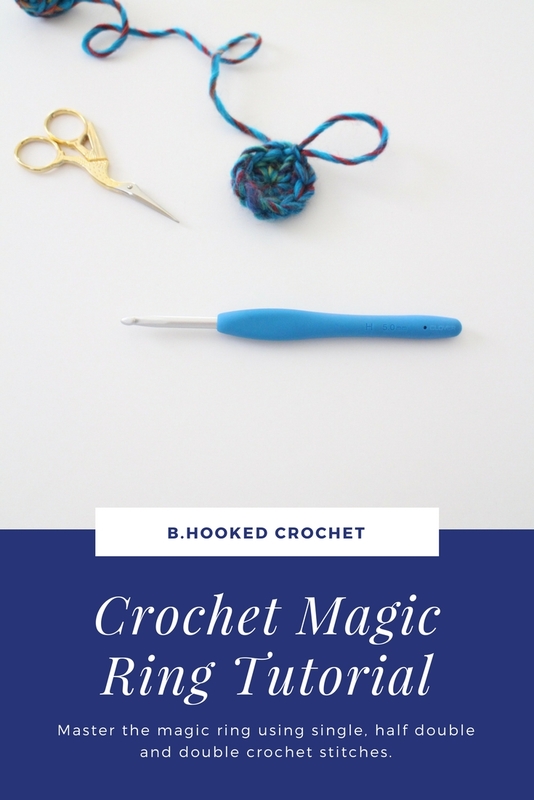 In the following three tutorials, I’ll demonstrate how to do the crochet magic ring in single crochet, half double crochet and double crochet stitches. To practice, you’ll need a few scraps of yarn and a hook size that coordinates. If you still find yourself struggling with the magic ring, don’t worry, you aren’t alone! The magic ring takes a lot of practice to master it. If you find yourself desperate to make the magic ring for a pattern that you are currently working on but just can’t make it work, check out my free tutorial for an alternative magic ring method. If you have any questions whatsoever, I’m here for you. Please leave your comment below and I’ll be happy to help!